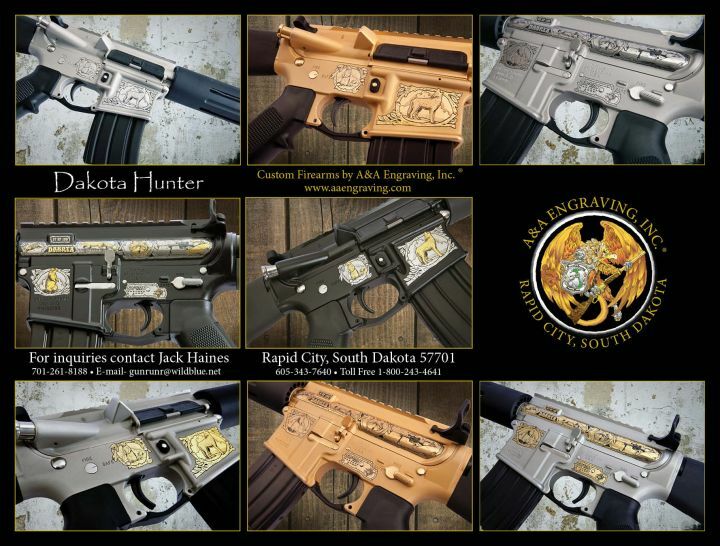 North Am | Hunting & Wildlife | Inventory | A&A Engraving, Inc. 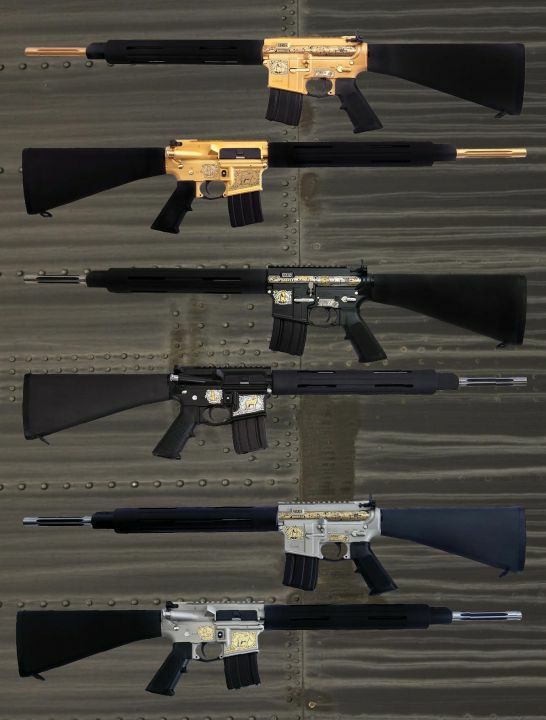 Finish: 5-tone Deluxe 24K gold finish, gold barrels, hand-finished high gloss and laser engraved stock with inlayed medallion. Individually numbered. 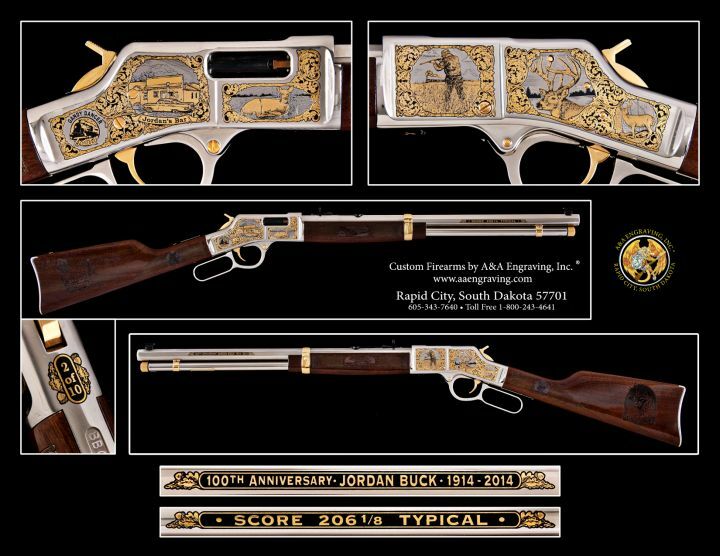 Celebrating the milestone anniversary of James Jordan's legendary Boone & Crockett world-record trophy whitetail buck. Finish: 5-tone Deluxe Nickel finish, nickel barrel, hand-finished high gloss American Walnut stock with laser engraved stock and forend. Individually numbered. Includes: Handmade Oak Display Case, original Henry box with paperwork, numbered & signed Certificate of Authenticity. 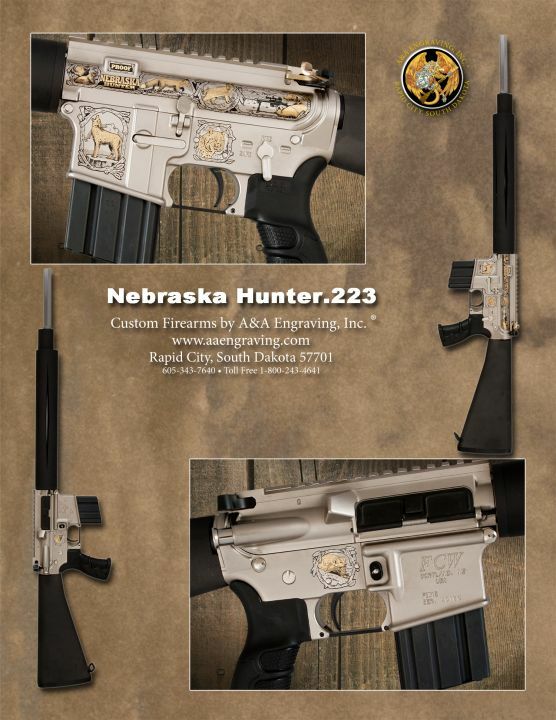 This Frerking Custom Works AR-15 features select wild game native to the Nebraska region. Proof is available to purchase. 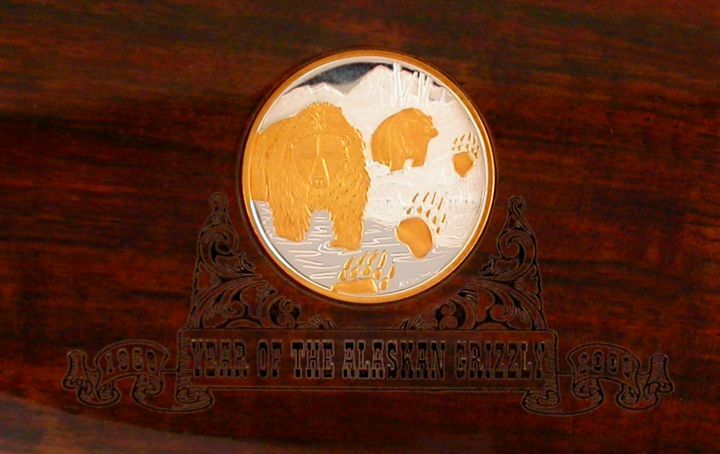 Finish: Individually numbered with 24K gold embellishments on a modern frosted nickel base. Includes: Original FCW box w/paperwork, numbered & signed Certificate of Authenticity. 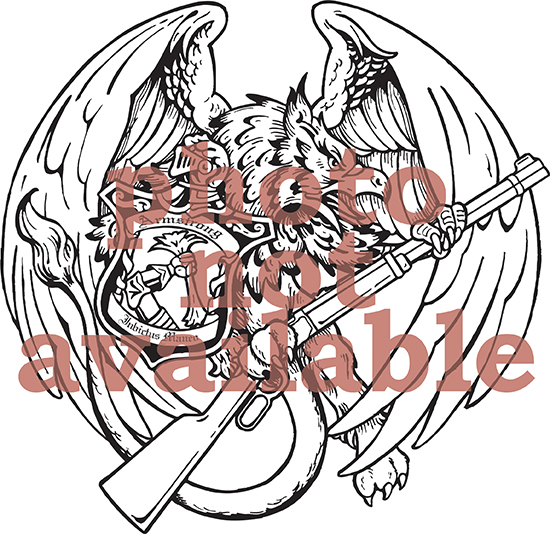 This original SunDevil model AR-15 Features select wild game native to the state of Texas. Individually numbered. Finish: Deluxe 5-tone finish on frosted nickel base, 24K gold accents. Indiviudally numbered. Includes: Original SunDevil box w/paperwork, numbered & signed Certificate of Authenticity.